The shoulder joint carries the distinction of being the most mobile joint in your body, but that mobility has a price: It can lead to severe shoulder pain, instability, and inflammation. Fortunately, world-renowned orthopedic surgeon Dr. Vivek Agrawal specializes in uncovering the root cause of severe shoulder pain. He practices at the Arizona Center for Hand Surgery, with locations in Phoenix, the Northwest Valley, and Mesa, Arizona. 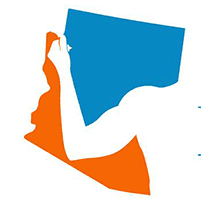 If you have severe shoulder pain, contact the Arizona Center for Hand Surgery to book a consultation today. The splitting or tearing of tendons in your shoulder can be the result of an acute injury or come from the kind of degenerative changes associated with aging. Rotator cuff injuries are among the most common tendon problems. This problem occurs when the top of your shoulder blade puts pressure on the underlying soft tissues whenever you lift your arm away from your body. Over time, shoulder impingement can lead to bursitis or tendonitis. This painful condition occurs when the fluid-filled sacs, or bursae, that help cushion the bones of your shoulder joint become inflamed. Bursitis often occurs alongside rotator cuff injuries or tendonitis. Usually the result of the wearing down of the tendon that connects muscle to bone in your shoulder joint, this condition may be brought on by excessive shoulder activity or arthritis. Whether it happens through a fall or another type of trauma, a broken collarbone can cause severe pain and swelling in your shoulder. An accurate diagnosis to identify the cause of your shoulder pain should be a priority, especially because successful treatment of severe shoulder pain depends on identifying its underlying cause. A shoulder specialist can help provide an accurate diagnosis of your shoulder pain, and can also offer innovative treatments to allow you to return to your regular routine as quickly as possible. While many shoulder issues can be effectively managed or treated with physical therapy, chiropractic care, massage therapy, acupuncture, or medication, shoulder pain that’s resistant, persistent, or difficult to diagnose may warrant a thorough evaluation with a shoulder specialist like Dr. Agrawal, who successfully treats patients from around the world. Why get a second opinion on severe shoulder pain? Difficult-to-diagnose or ill-defined shoulder pain can be very frustrating for patient and physician alike. Getting a second opinion on the diagnosis or treatment of a persistent shoulder condition may reveal the true cause of the problem, helping you avoid further damage or failed shoulder surgery. Shoulder pain that may be difficult to diagnose is sometimes related to the suprascapular nerve and the complex network of nerves that extend from it called the brachial plexus. These nerves are particularly susceptible to injury and dysfunction brought on by stretching and compression. When suprascapular nerve pain is accompanied by an unstable shoulder, rotator cuff tear, or other injury, Dr. Agrawal can perform arthroscopic surgery to decompress the nerve. If you suffer from severe shoulder pain, contact the Arizona Center for Hand to Shoulder Surgery to schedule an in-person or remote consultation with Dr. Agrawal today.